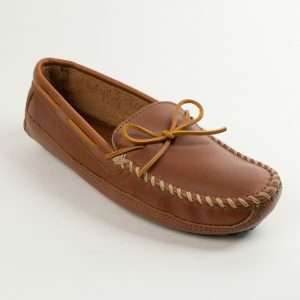 Minnetonka Double Deerskin – upper with deerskin lining and a rawhide lace. Fully padded cushion insole. Style Number: 816 Available in Natural, Carmel and Black colors.